The first expansion from Bungie’s ‘Epic’ Destiny will arrive December 9th. The DLC pack promises to include all new weapons and gear, story quests, mulitplayer maps, strikes, a new raid and more. Revealed on the Activision blog the new content looks to broaden the Destiny universe. “In The Dark Below, a new character Eris will arrive at the Tower to deliver an ominous warning: that The Hive plans to summon a powerful god, Crota, to destroy Earth. Through three new story quests, The Will of Crota Strike, and the Crota’s End Raid, players will fight to uncover and eliminate The Hive’s forces and save humanity. As players progress, they’ll have an opportunity to earn all-new weapons, armor, and gear for their Guardian, including Legendary and Exotic items. What’s more, The Dark Below will raise the maximum Light Level to 32 and introduce five additional Bounty slots. The expansion will also add three new competitive multiplayer maps. Set in a Vex temple within the Black Garden, Pantheon features tight corridors and Vex-designed landscapes, while in Skyshock players will battle in an interplanetary defense array across both vehicle and infantry engagements. It all sounds good to me, but I still think Bungie have a lot of work to do to convince me that this game is really the Sci-fi Epic they want it to be. Let’s hope these new features really are new, and not just the same game modes with a different name like we’ve already seen. 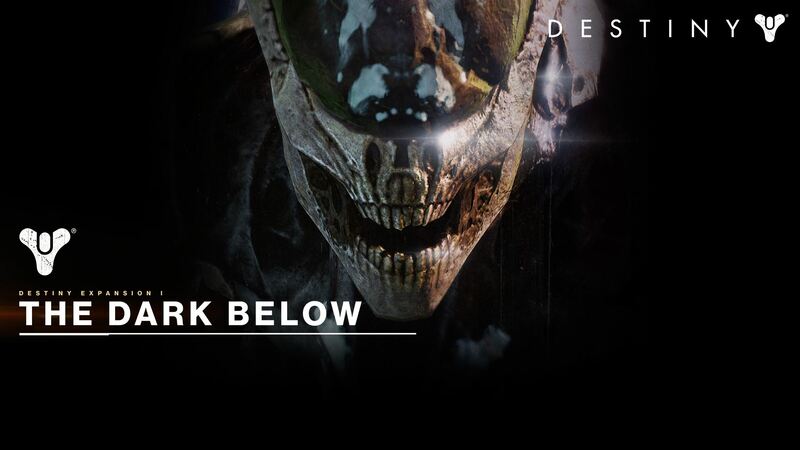 The Dark below will be available for £19.99, or you can buy the season pass for £34.99 which will also include The House of Wolves DLC yet to be dated. Season Passes & DLC – Do They Need To Be Stopped? ← EA Access A Success, Should Others Follow?